Democracy Now! reports on how the gun lobby, the NRA, is outspending the gun control advocates by 10 to 1 on Capitol Hill. 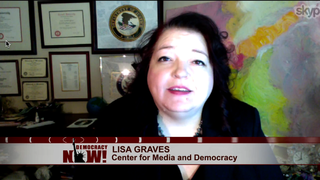 And Lisa Graves explains that ALEC isn’t just trying to destroy unions or spread disinformation about climate change, it is also behind legislation to keep military weapons in civilian hands.